A country about to get full membership in the European Union after radical, sometimes still ongoing transformation processes, with an elite determined to follow the European path – although for different, partly divergent reasons – and a public indifferent, when not worried about its standard of living. This is how Dejan Jović, chief analyst of president Ivo Josipović and Associate Professor of International Relations at the University of Zagreb, portrayed Croatia during a conference organized by the Europan council on Foreign Relations in Sofia, Bulgaria. "Croatia is the first country that enters the EU with a recent experience of war. The post-conflict transition is still ongoing. Just think, for example, that about 500,000 people still receive subsidies directly linked to the consequences of the war. This will affect the country in its first period as a full member of the Union" said Jović. "Even so", he added answering a question by OBC, "institutions such as the Hague Tribunal, to which the European destiny of Croatia was so strongly attached, have given a controversial contribution to normalizing the country's relationship with neighbours and with its recent past". Judgements like the recent one on the responsibilities of the Croatian state in Herceg-Bosna, or the heavy sentence imposed at first instance on general Gotovina, then followed by full acquittal on appeal, "leave many reasons for confusion and strengthen overall skepticism on the work of the Court". "The Croatian political and economic elite has achieved and maintains a near full consensus on joining the EU, but for different reasons", argues Jović. "For what I call the 'liberal Croatia', the EU is the tool to expand personal liberties and strengthen security, but also to put a stop to nationalist tendencies". On the other hand, the reasons for "conservative Croatia" to support the European project are very different: "For this part, it represents the return of Croatia in the 'European house' it had always been part of, and a way to emphasise differences with neighbouring countries [Serbia and Bosnia and Herzegovina] that are not seen as part of the European family". These different approaches, according to Jović, will emerge in the attitude towards further EU enlargement in the Western Balkans. "For liberals, Croatia will be truly safe only when the regional instability in the Balkans has been incorporated into the European project. Conservatives would rather have the country turn back into a 'military frontier' to defend the heart of the Old Continent". For Jović, this is a dangerous, undesirable prospect. "Croatia has hundreds of miles of border with non-EU territories, and a myriad of islands to control – an unmanageable task for the Zagreb forces only, and one that in the medium to long term is likely to bring out a 'militarized society'". The new European borders, especially in view of a future inclusion in the Schengen area, pose then to Croatia a problem not easily solved. 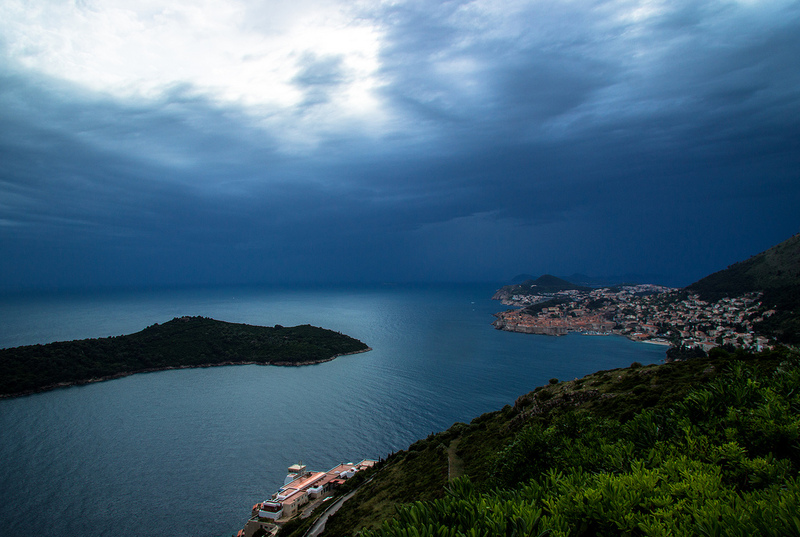 A part of the Croatian soil, the strip of coastline around Dubrovnik, has no territorial continuity with the rest of the country and is likely to be "cut off" from the EU common space. An elite compact, albeit for varied reasons, in welcoming the next entry into the Union is counterbalanced by a largely "Euro-indifferent” public opinion. "The expectations of ordinary citizens towards the EU are generally low, as demonstrated by the low levels of participation in the referendum on entry and by the recent European elections", said Jović. "There are fears. First of all, the worsening of living standards. In Croatia, many receive subsidies that the state could have more difficulties allocating once in the EU". There are also concerns about what is perceived as a potential loss or limitation of sovereignty. "For many, the Union dangerously resembles the defunct Yugoslavia, and tying the country's fate to a possible 'new federation' cools the enthusiasm for the European project". The role Zagreb wants to play as a new member of the EU is still unclear. "The Croatian elite has not yet begun to seriously discuss what the country wants to do in the Union. There are some ideas, but still poorly defined. Certainly, Croatia can provide Brussels with knowledge and advice on the Western Balkans, but the country refuses to claim the role of 'protector' of Serbia and Bosnia and Herzegovina in the process of rapprochement". Among Croatia's aspirations, tied with its identity and geographical location, figure "further strengthening the EU as a 'club of small nations', and not just the board of intersection of the interests of the largest countries, and pushing to preserve the Mediterranean environment as 'clean, safe, and friendly'". "Certainly, Croatia knows what it does not want", noted Jović at the close of the conference. "It does not want a two-speed Europe that would marginalize it".